Behind every high-quality design is a team of people who worked together to strategize, plan, sketch, create, review, and test that design. But you don’t get that sort of synced-up mindset or those team-playing skills without tools that empower you to collaborate effectively. When it comes to design, every person’s input counts, which makes collaboration tools something you can’t afford to skimp on. Now, when we talk about design collaboration tools, this could mean a variety of things. These could be the actual tools you use to discuss new iterations of your designs. These could also be the tools where all files related to your project exist. These can even be the communication platforms you use to talk to clients, team members, and other partners as you work through your projects. 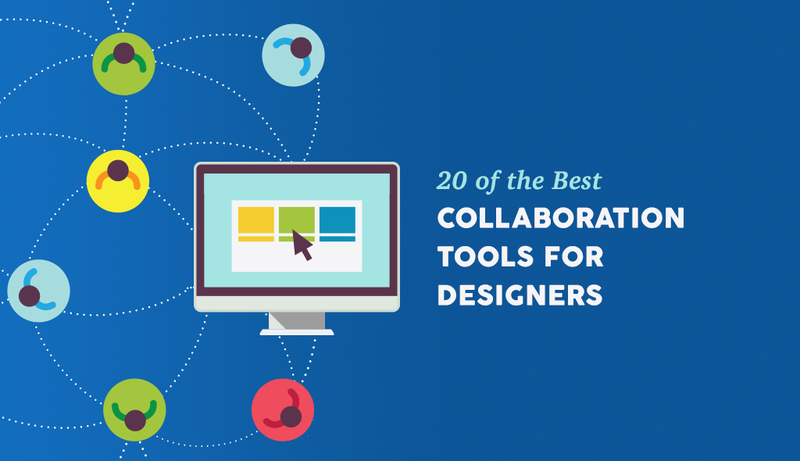 So, this list will cover all those possible tools you may need when working in a collaborative environment to support your design work. 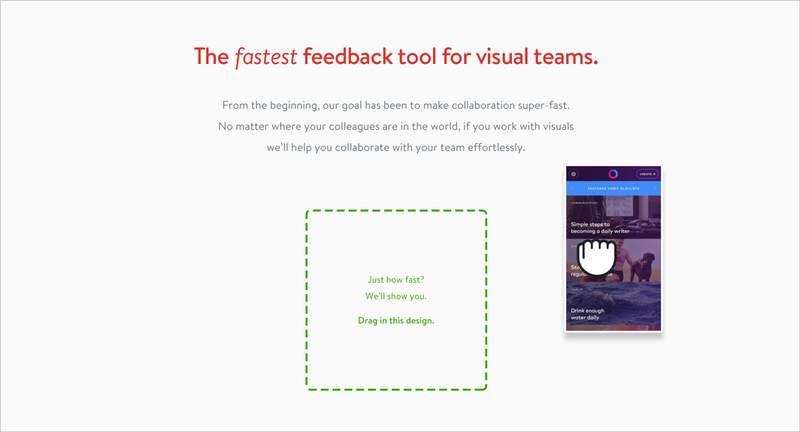 Built for designers and non-designers alike, Visme is a browser-based tool that centralizes all team activities and allows users to quickly create a variety of visual projects (i.e. presentations, infographics, web content, and more). It combines the best of all worlds by offering a platform that keeps your projects organized and helps you collaborate more efficiently with your team. As a bonus, Visme’s collaboration platform comes with built-in analytics so you can keep tabs on each user’s workload, progress, and activity on open jobs. When designing something new, you know it’s never going to be one-and-done. With Balsamiq, you can create wireframes, prototypes, and mockups, and keep track of all versions and commentary on each version all in one place. More commonly known as a project management software, Basecamp is an excellent tool for collaborating internally and externally on all phases of your design project. Perhaps the best part is that it integrates with so many different tools (including visual markup and QA), so the possibilities of what you can do with this are seemingly endless. Binfire is the self-proclaimed “virtual office” where designers can more effectively collaborate with all parties involved in the design process. And because it comes with Agile, Waterfall, and a hybrid of the two project management types, the software works however you want it to. The new version of Cage is a project management and media collaboration tool for design and production teams. Cage streamlines team communication, project management, collaborative media reviews, asset management and approval routing for creative teams—all in one place. That means less bouncing around lots of tools to juggle work, less time in meetings and on calls, and more time celebrating completed projects and planning the next ones. Back in the day, it was a lot easier to get your team (and sometimes even the client) into the same room to review your ideas and designs from an actual whiteboard. But with everyone working remotely, companies like Conceptboard have had to find a way to digitize the process. Perhaps the best thing about this platform is that it wasn’t built to cater to one specific type of designer or design. Concept inbox works for all your marketing design needs, so all you need to do is upload your image or video files and then watch as team members submit their feedback visually. One of the obstacles you probably run into a lot as a designer is when a team member comes unprepared to discuss your designs or a client claims that they’re not in front of a computer to do so. With Deekit, there are no longer any excuses as any mobile device can be used to review and collaborate on your project’s whiteboard. When your process calls for something less rigorous and involved than say, a website, sometimes a project management and collaboration software may be too much. Sometimes all you need is a quick way to share annotated visuals (screenshots, screen recordings, and even GIFs) with team members—and that’s what Droplr does. For those of you working on design projects that have a coding element (like websites and animated infographics), GitHub is a version control system well-trusted by developers around the world. It’s great for storing all files of your design project, keeping close tabs on each new version, and preserving all comments and feedback for future reference. 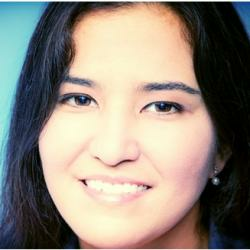 GoVisually is a collaboration software that’s all about convenience and control. Simply upload the files you need reviewed, invite others to join the conversation, and then keep tabs on each part of your project (or all of your various projects) from a centralized and highly organized platform. InVision is a prototyping software that enables users to import designs and turn them into “live” interactive designs that users can test out without having to code and upload them to the web. That said, this is simply a great tool for keeping all design work and collaboration efforts stored in a singular location. And because the app integrates with other collaboration platforms like Basecamp, Trello, and GitHub, it’s a tool any member of your team would be comfortable using. Sometimes it’s easier to get other team members or your client on the phone to talk through a design. However, how do you really know if you’re looking at the same thing and talking about the same element that needs to be updated if you’re not together in person? A screen-sharing tool like Join.me removes that friction. I haven’t included many options here for wireframing and prototyping tools because those tend to specifically belong to a certain subset of web designers (namely, UX designers). 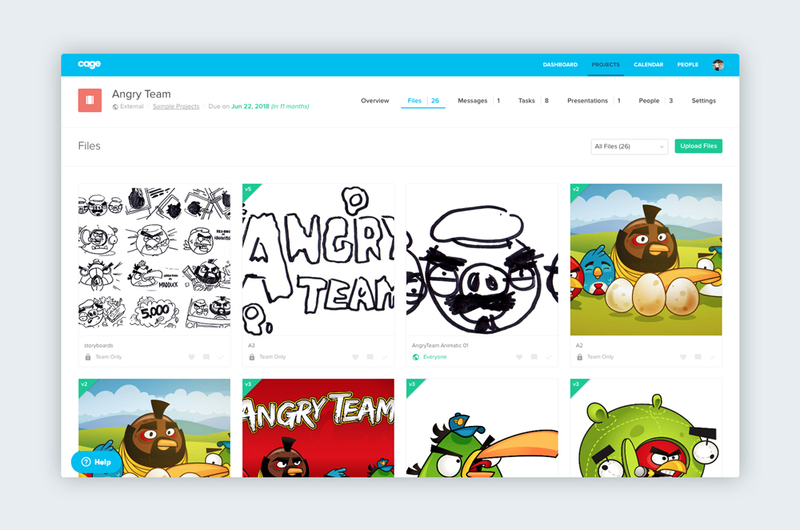 However, the Moqups app enables teams to collaborate on wireframes and prototypes as well as design mockups, which makes it a more universally friendly platform for designers of all types to use. As you can imagine, most design collaboration apps start to look the same once you’ve seen enough of them, but that’s not the case with Mural. It’s incredibly easy to use, has built-in tools to help you streamline your collaboration process, and it also includes anonymous voting sessions so people can voice their feedback without fear of retaliation (and so you can gather more honest results on your work). The real standout quality of the collaboration software Notism is how it includes video and, not only that, simplifies the process whereby team members can comment on and annotate video design work. You can also gather feedback in real-time and watch as actual team members leave their mark on your uploaded files. 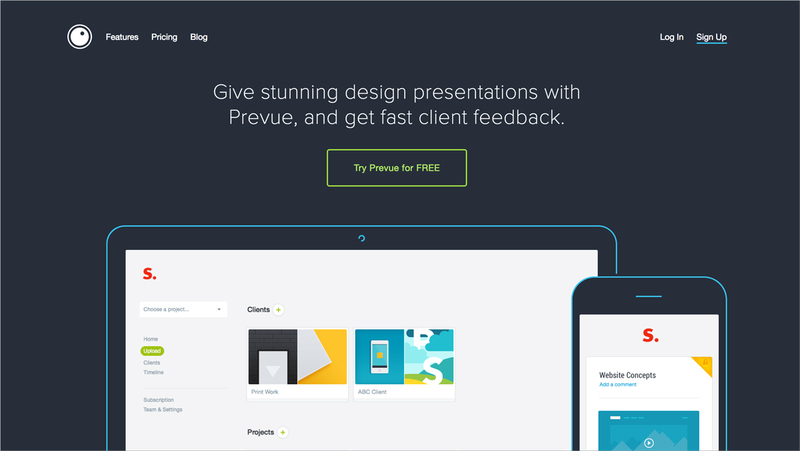 While many collaboration apps focus on uploading disparate files and soliciting feedback one piece at a time, Prevue is a good option if you work on designs in project batches. So if you design marketing collateral and want to present a client with all five separate, yet related pieces you designed, this is the way to go about doing it. The reason ProofHQ deserves a spot on this list is because of the built-in workflow management tool. This means that not only can you collaborate with your team within this platform, but you can ensure that all checkpoints of approval have been met (including contracts signed and payments made) before you finalize and send design files to your clients. Although Red Pen isn’t all that different from other design collaboration tools in terms of what it helps you accomplish, they pride themselves on how well they empower design teams to work more efficiently. Time is often a major concern in design, and so it’s nice to know there’s a tool out there built specifically to remove those obstacles that hold up projects. ViewFlux does a fantastic job of cutting down on all the work designers tend to do with saving files, maintaining version control, restoring previous versions, and even delivering print-ready final files to clients. There’s a lot to keep track of and a lot of potential damage that can be caused if something falls through the cracks, which is why a software like this one that takes care of all those file movements is a big help. What matters at the end of the day is that you produce the highest possible quality of work for your clients. And, as they say, no man (or woman) is an island. Whether you’re at that point now or it’s something you know is coming soon, you will eventually have to work with others if you want to continue producing quality work efficiently while scaling your business. By making use of collaboration software now and integrating it into your workflow, you’ll be putting your business in a better position going forward to please clients, keep everyone on your team happy, and improve your bottom line. Nathan Oulman loves to write on all technical aspects of web hosting, marketing and SEO and is a regular contributor to sites such as Social Media Today and SEMrush. When he is not busy, he writes for his website Dailyhosting.net. Thanks for the suggestion, Nikita. Looks like it’s worth checking out. Great list. I’d like to add ProofHub in your list. It is an online collaboration tool that comes with integrated Group chat, quick Discussions on projects, Workflows and boards, Project reports, proofing tool and many more powerful features. Helping teams to Plan, Collaborate, Organize and Deliver projects on time, and within budget, ProofHub comes across as the complete project management tool! Thanks, Divya. Looks like a useful tool that should also be included in this list. I am in search of a collaboration tool/app that will work for the makers in the 3D world . . master glass makers, master jewellers, master ceramicists . . something that allows them to share in a closed peer group or produce easily for podcasts or classes . . . anyone know of anything? Thanks for your comment. We haven’t heard of any. 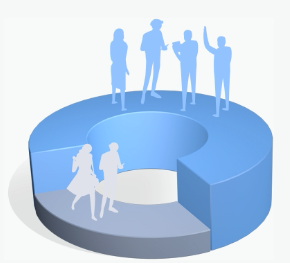 What exactly would you like to share within a peer group? Images, files or other material? We have been using Hibox for almost a year and we are pretty happy with it because in addition to letting you communicate in real time with group chat it also includes a task management tool so you can also keep track of everything your team is working on. We made the switch from email and are not looking back. Also has a free version. I recommend it. Thanks for the share here! It’s a great articles about collaboration tools. It would be better if you can also add Mockplus iDoc to your List. Mockplus iDoc is a powerful product design collaboration tool for designers and engineers. It helps connect the entire product design workflow. It facilitates handoff by taking designs from PS, Sketch, Adobe XD and exporting into a format that can generate code snippets, specs, and assets. Another solution worth checking out is Ziflow (www.ziflow.com). it’s an online proofing app from the original founders of ProofHQ (also on this list). They’ve been quickly moving up the ranks in the review and approval software market. Thanks for the feedback, Mateo. Will consider adding that. Have you tried any others on the list? Most of these are excellent for designers. We are also seeing more need to collaborate in real time visually. Our approach is interactive screensharing. So multiple arrows and control options. I’d be interested in discussing this with any of the platform providers in this space.